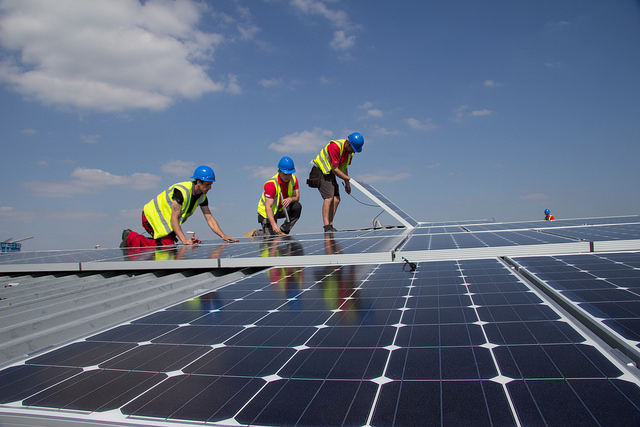 I SPENT an interesting morning earlier this week, photographing the boys installing a solar PV system at one of the houses on a brand-new development of ‘eco homes’ in Cashes Green, Stroud. The Applewood project stands on the site of the former Cashes Green isolation hospital and allotments – land which has been empty and pretty much unused since it was abandoned by the NHS in 1994. It was decided in 2006 that there was a well-established local need for affordable housing and many people wanted to regain use of the allotment land. So English Partnerships (now the Homes and Communities Agency), who owned this derelict site, agreed to a feasibility study. With much community involvement, Gloucestershire Land for People (GLP) worked with CDS Cooperatives – the pioneers of mutual home ownership – to produce a proposal. The consensus of opinion was that this site, already in a form of public ownership, could be transferred into another type of even more public ownership and developed as a community asset. Coupled with aspirations to pioneer mutual home ownership and secure affordability in perpetuity, this became a Community Land Trust initiative. Sadly, the proposal was turned down by the Housing Minister in Oct 2007, so a second attempt was made. This involved working in partnership with the HCA and Stroud District Council and, after more input from local people and stakeholders, outline planning permission for the Applewood project was granted in November 2009. In 2011, Haboakus – a joint venture between TV presenter Kevin McCloud’s company Hab, property developer Oakus and housing group Green Square, working with GLP – won an HCA competition to develop Applewood which, as well the two attractive Victorian hospital buildings already in situ, comprises 78 sustainable homes ranging from one-bedroom apartments to four-bedroom houses. Working with the support of the HCA, which currently owns the site, and other local agencies, including Stroud district and Cainscross parish councils, the conglomerate is committed to building a residential project that is “community-driven, appropriate to its context and respectful towards the environment”. Having myself been raised and schooled in Stroud, I am very familiar with Cashes Green – many of my friends lived on the estate there when I was growing up. I haven’t driven through Cashes for a while, so when I saw the new Applewood development it was a really pleasant surprise. While taking a little wander around the site I found myself part of a fantastic little community. It’s certainly a huge, huge improvement on the desolate, barren land which has been looking more than a little forlorn for the past 20 years. Now in the latter stages of construction, Applewood features a variety of green spaces, including a ‘pocket orchard’ next to the entrance of the project and a natural wildlife corridor that runs through the site from north to south. I’d love to live there myself. Apparently, all the homes have been built to Code Level 4 Sustainability Standards, which means they are extremely energy efficient. 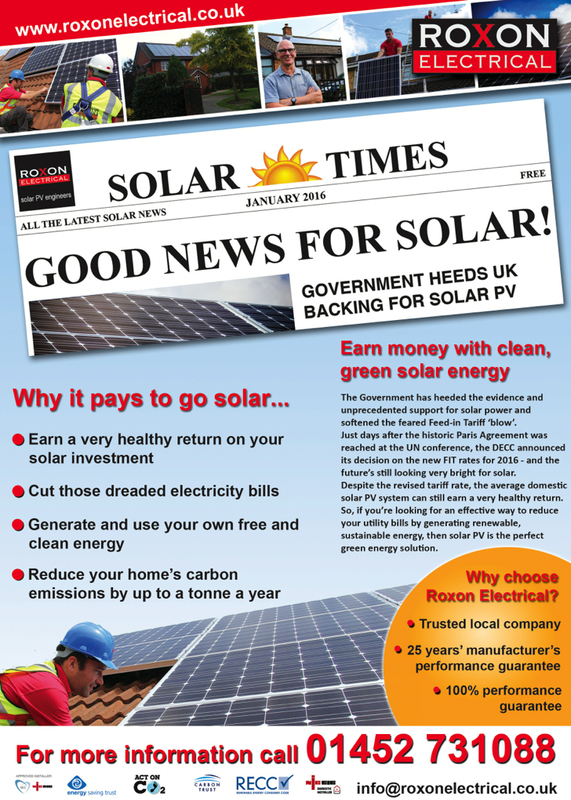 So it was with a great deal of pride that I left the boys to continue with the solar PV installation at Applewood, knowing that in our own little way, Roxon were helping to further improve the energy efficiency of this fabulous sustainable home. Let’s hope many more Applewood homeowners follow suit. What better way to add to your “eco-friendly” credentials than harnessing the power of the sun to generate your own clean, green energy? 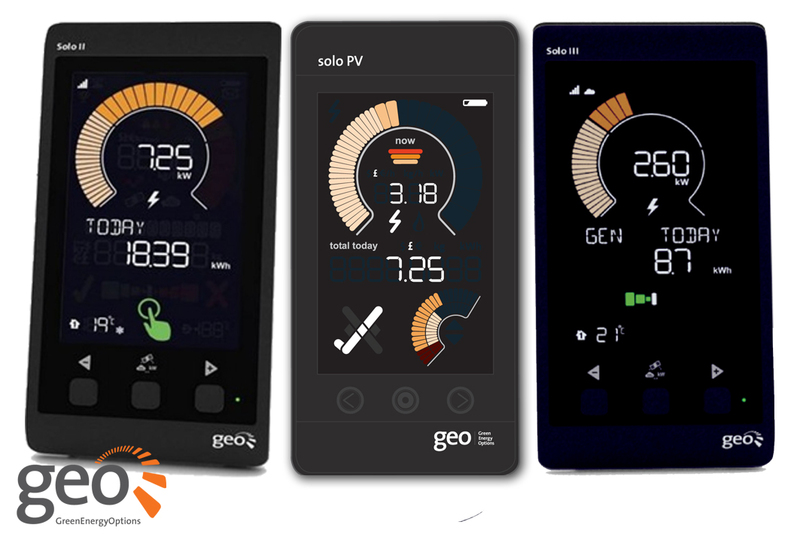 Why’s my GEO Solo PV monitor stopped working? 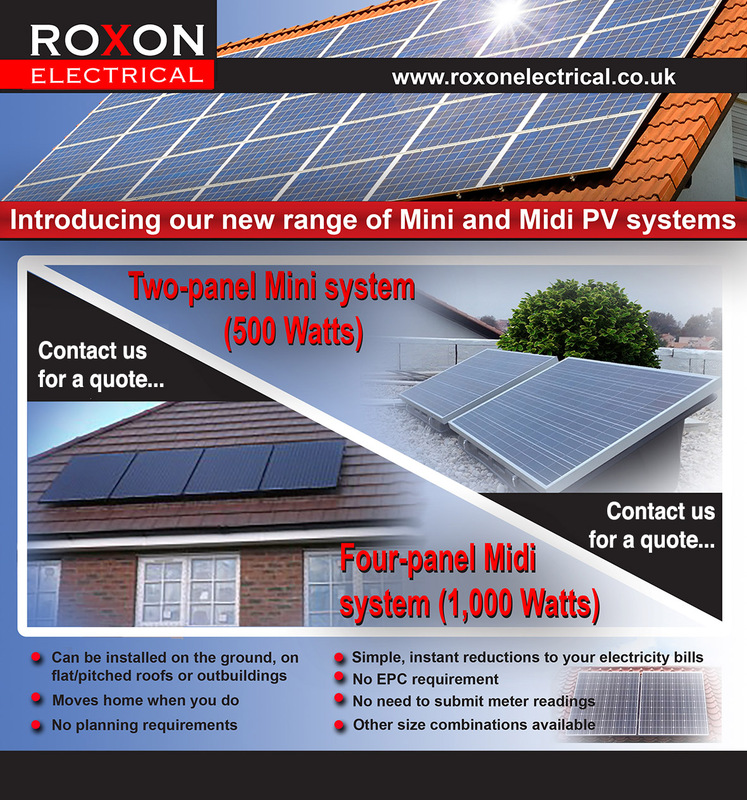 Please contact Roxon Electrical for any domestic or commercial electrical enquiries, including internal wiring and sockets, consumer units, bonding, lighting, smart meters, electrical testing, shower fitting, external lighting & power and solar panel installations. 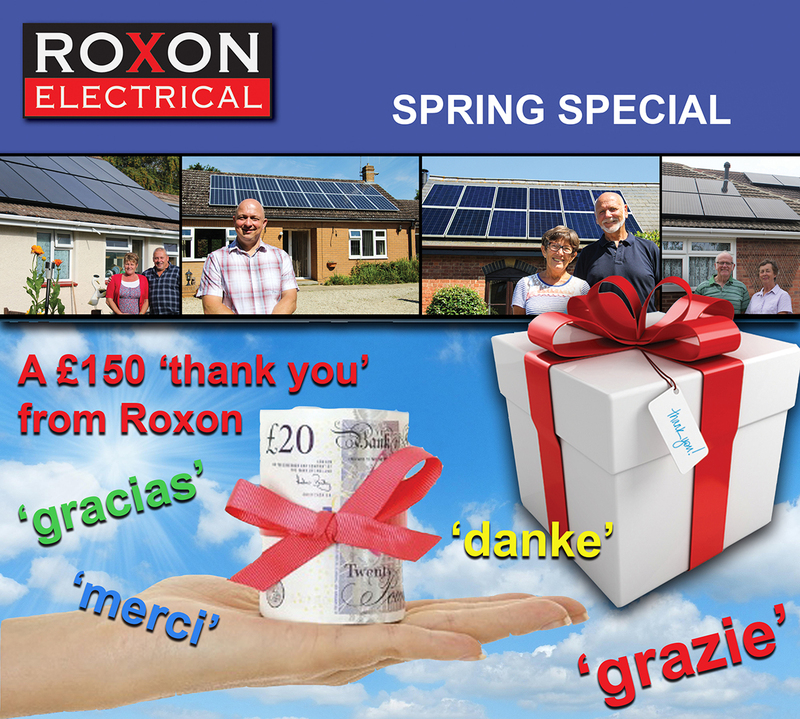 Roxon is an established and trusted firm of electricians with many years of experience in all things electrical, and dedicated to quality, value and customer satisfaction. Our professional, prompt and reliable electrical service has earned us an enviable reputation throughout Gloucestershire, Oxfordshire, Worcestershire and beyond. From a new socket to a complete rewire of your home or workplace, every job Roxon Electrical does is carried out safely and efficiently by our team of experienced electricians, working to the highest standards and in compliance with all of the latest electrical legislation.